Yesterday, I walked into a bookshop we used to frequent as kids. The place was full of books as usual: from tomes like The Last of the Mohicans to Chinua Achebe’s latest, There was a Country. But unlike when we were kids, the place was empty of the usual buzz of people, apart from the few who came to look at the religious books on display. This scene is not novel, Nigerians don’t read anymore and the ubiquity of e-books is threatening to close bookshops. Even though I enjoyed saving my lunch money to acquire the latest James Hardly Chase classic available in my favourite bookstore, I would still have preferred growing up in today’s age with the opportunity of downloading endless books on my Smartphone or Tablet PC. But what about the kids who go to school today? Are they leveraging on the opportunity of living in a Knowledge Age where access to Information Communication Technologies makes learning easy. Unfortunately, the allure and the endless chatter on Social Networks prevent young people from maximizing the benefits for academic purposes. Sharing pictures, latest videos and the hottest gossip around are the default uses of social media. But I enthusiastically read in a blog recently of a boy who had a study group going on in his BBM network. Such practical use of social networks can deliver great academic dividends. To fit into the knowledge economy of today, Nigerians must learn to effectively take advantage of the great store of educational information available online. This is the fastest means of bridging the knowledge divide between us and the West. 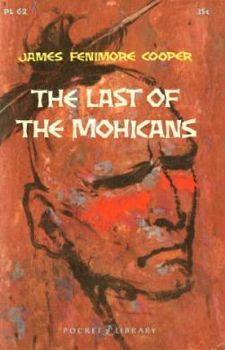 Now to download a copy of James Fenimore Cooper’s The Last of the Mohicans, one of the classics I never got around to reading. This entry was tagged Achebe, Bookshop, e-books, education, The Last of the Mohicans. Bookmark the permalink.